Dr. Lu got on the news for her NSF CAREER award. Check it out. Dr. Lu was interviewed about her plans for the CAREER award. Check it out. 2/2019 Dr. Dipti Rout has joined our group as a postdoctoral researcher. Welcome! 1/2019 Journal of Geophysical Research (JGR) has featured Dr. Huang's paper as the cover page article! Congratulations! 12/2018 Our NASA HTIDS proposal has been selected for funding! Congratulations! 12/2018 Our AFOSR proposal has been selected for funding! Congratulations! 11/2018 Our paper on "Transition of Interhemispheric Assymmetry of EIA" has been published in JGR-Space Physics. Congratulations! 10/2018 Our NASA HGI proposal has been selected for funding! Congratulations! 10/2018 Our paper on the Double-Peak of Stationary Planetary Waves has been published in JGR-Atmospheres. Congratulations! 10/2018 Addision Blackman and Adam Lucker have joined the group. Welcome! 09/2018 Dr. He Huang has submitted her paper to JGR-Space Physics about "the Interhemispheric Asymmetry transition of Equatorial Ionization Anomaly". Congratulations! 08/2018 Haonan Wu has passed the qualifier exam with top grades! Congratulations! 08/2018 Dr. Quan Gan has joined the group as a postdoctoral researcher. Welcome! 08/2018 Our paper about Lidar observations of stratospheric gravity waves is published in JGR-Atmospheres and featured by the editor. Congratulations! 07/2018 Dr. Lu wins the NSF CAREER award. Congratulations! 06/2018 Our paper about "Latitudinal Double-Peak Structure of Stationary Planetary Wave " has been submitted to JGR-Atmosphere. 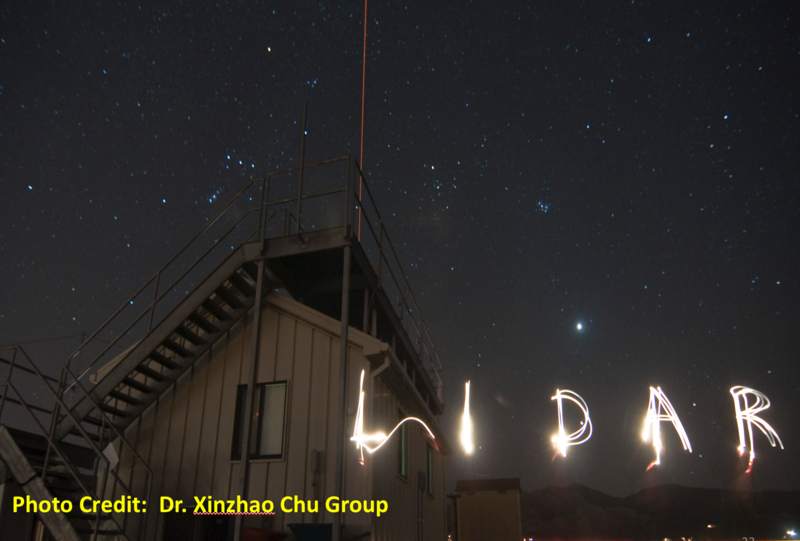 05/2018 The group starts the visit of High Altitude Observatory, NCAR in Boulder, CO.
02/2018 Dr. Lu wins the National Center for Atmospheric Research (NCAR) Faculty Fellowship Award! Congratulations! 02/2018 Dr. He Huang from Chinese Academy of Science has joined the group as a postdocctoral researcher. Welcome! 01/2018 Mr. Casey Dowdle and Mr. Mikael Toye have joined the group for research. Welcome! 10/2017 Our paper about "First observations of eastward propagating planetary waves to the lower thermosphere in winter Antarctica" has been published in Geophysical Research Letter. Congratulations! 09/2017 Ms. Yu Wang has joinged our group for research. Welcome! Welcome to Computational Atmosphere Group! We Use Most Advanced Observations and Models to Explore our Planet Earth! What Science Are We Doing? Our planet Earth is an extremely complex system comprised of numemous interacting elements that influence one another through nonlinear and dynamical pathways. Earth science has entered an era that scientists need to combine diverse data sources and modeling tools with a system perspective of geospace. The research focuses of Dr. Lu's group are to explore two of the fundamental physical processes in the Sun-Earth system that shape the Earth's atmosphere and geospace, i.e., atmospheric wave coupling from the lower to the upper atmosphere and magnetosphere-ionosphere-thermosphere (MIT) coupling from the topside down. Both processes are universal involving multiscale coupled activities. The majority of the Earth's energy originates from the Sun through solar radiation and one of the important ways that Earth reacts is to excite a broad spectrum of atmospheric waves. 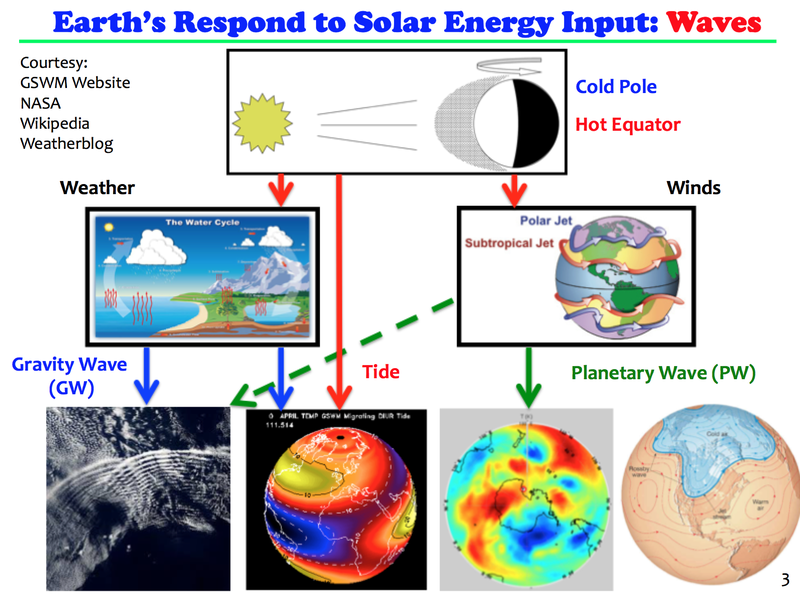 Some waves are directly generated by differential solar heating, while others are indirectly generated by weather and wind systems forced by solar radiation. The atmospheric waves control the mean state and variability of the middle and upper atmosphere (100 miles above), and transport energy and momentum for thousands of miles. They play important roles in the climate change and space environment. We aim to draw a big picture of atmospheric waves and their roles in shaping the present and future of the Earth's atmosphere. 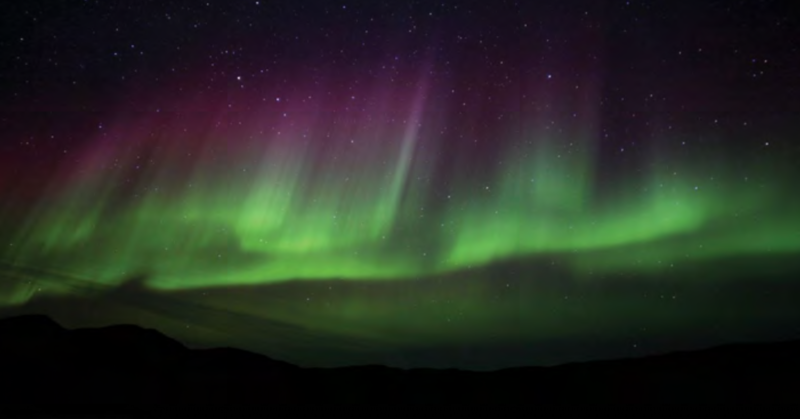 Underlying the breath-taking scene of aurora are entangled ions and neutrals, collisions of particles, and dynamic interaction across different fields and boundaries. 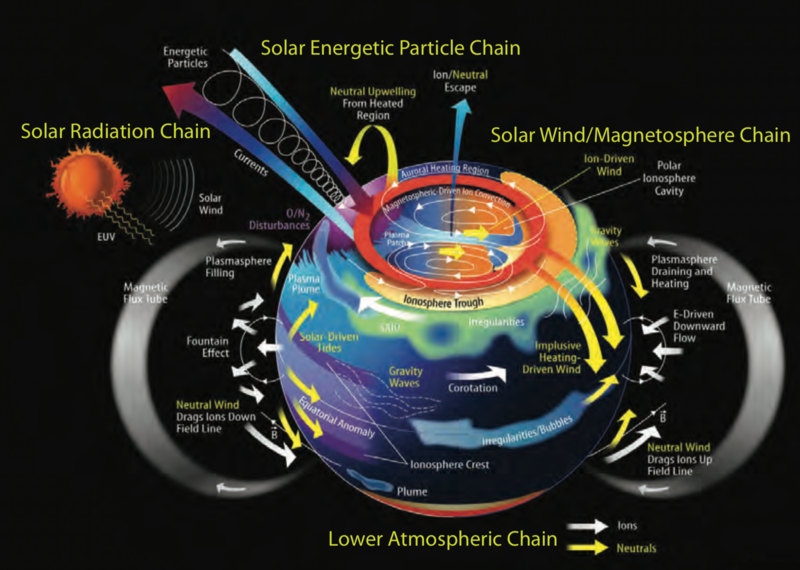 During space storms, tons of energy carried by solar wind are channeled down towards the upper atmosphere through Joule heating and energetic particle precipitation. Dramatic changes occur in space weather. New observations challenge our understanding of the neutral-ion coupling and how magnetospheric energy is deposited and distributed in the ionosphere and thermosphere locally. We aim to understand the high-latitude convection pattern, electrodynamics, and impacts of the structured magnetospheric forcing on the Earth's upper atmosphere. 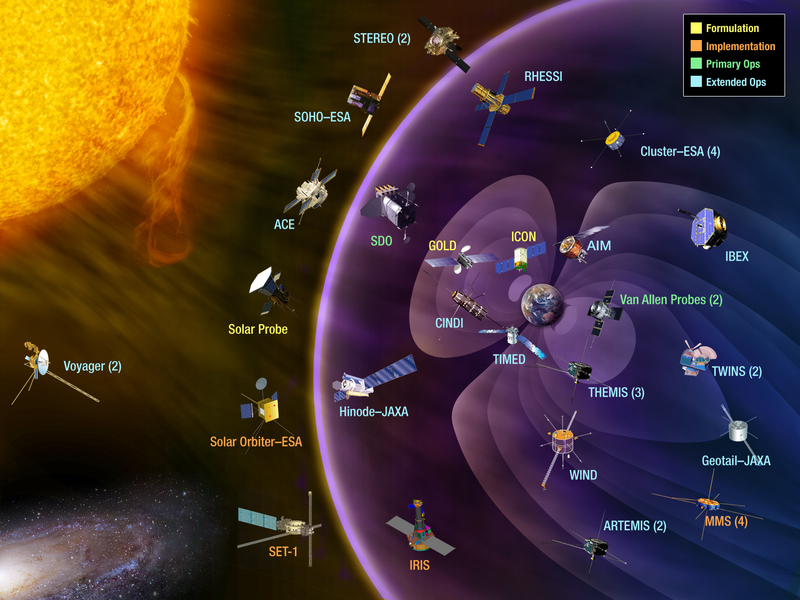 We are interested in exploring the dynamical, chemical, and electrodynamical processes that drive the space weather. We are running global general circulation models (GCMs) including CESM/WACCM , CESM/WACCM-X , TIEGCM and CTIPe, and wave-dynamics mechanistic models on Clemson's Palmetto cluster. The numerical models are good at studying physical mechanisms and interpreting observations. They can also be used for the prediction of space weather and long-term evolution of the atmosphere. We develop our own models and utilize the sophisticated community models at the same time. Satellite measurements continuously monitor the Earth's environment from a global view and provide critical parameters such as temperature, winds, composition, ion drifts, influx of energetic particles, and magnetospheric disturbances. We use a wide range of satellite data including those from ACE, DMSP, TIMED/SABER, TIME/TIDI, COSMIC, CHAMP and etc., and plan for the new NASA missions such as GOLD and ICON, for various purposes of our research. Satellite data are used not only to examine exciting atmospheric phenomena, but also to validate and constrain the numerlcal models for both drivers and outputs. Compared with satellite data, ground-based measurements such as lidar not only provide high-resolution measurements with large vertical extension, but also probe the regions unreachable by other techniques, which enable new science discoveries. For the middle and upper atmosphere, we use the metal (such as Na and Fe) layers originated from the meteor trails as tracers and apply spectroscopy to infer atmospheric temperature, density, and horizontal and vertical winds. We also use radar data such as ISR and SuperDARN to obtain electron and ion properties and imager data such as temperature mapper and FPI for the 2-D information. For more details, please check our Projects and Publications. Photo Credit: NASA, CEDAR-New Dimension, Clemson Palmetto.